This declaration will not be well reported. It was made by climate scientists in Manhattan, New York, on the 4th of March this year. The silence in the press has been thunderous. Why, you may ask. The answer is very simple. The declaration does not fit the UN and IPCC’s agenda on climate change and Man Made Global Warming. In fact, the people involved in the making of this declaration are so at odds with that agenda, that their funding for research is drastically lower than those supporting the MMGW theory and even though they are probably right in their assumptions, their results never get published. 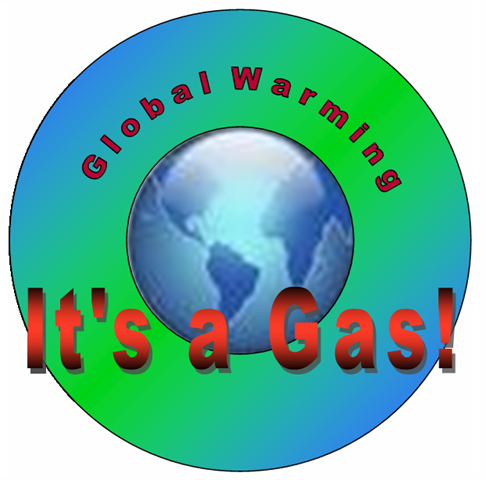 Put bluntly, people, you are being deliberately denied the truth about global warming. Strictly speaking, you are being lied to. Every day. During the International Conference on Climate, scientists revealed the lack of tolerance science journals and institutions have exhibited for skeptical climate views. ‘We [fellow skeptical scientists] talked mostly of work and upcoming papers and went through the standard ritual of griping about journal editors and the ridiculous hoops we sometimes have to jump through to get papers published. But some of the guys had absolute horror stories of what happened to them when they tried getting papers published that explored non-‘consensus’ views. Really outrageous and unethical behavior on the parts of some editors. I was shocked,’ wrote conference participant Dr. William M. Briggs, a climate statistician who serves on the American Meteorological Society’s Probability and Statistics Committee and is an Associate Editor of Monthly Weather Review, on his blog on March 4. Prominent Hungarian Physicist Dr. Miklós Zágoni, a former global warming activist who recently reversed his views about man-made climate fears and is now a skeptic, presented scientific findings at the conference refuting rising CO2 fears. Zágoni’s scientific mentor Hungarian scientist, Dr. Ferenc Miskolczi, an atmospheric physicist, resigned from his post working with NASA because he was disgusted with the agency’s lack of scientific freedom. Miskolczi, who also presented his peer-reviewed findings at the conference, said he wanted to release his new research that showed “runaway greenhouse theories contradict energy balance equations,” but he claims NASA refused to allow him. ‘Unfortunately, my working relationship with my NASA supervisors eroded to a level that I am not able to tolerate. My idea of the freedom of science cannot coexist with the recent NASA practice of handling new climate change related scientific results,” Miskolczi said according to a March 6 Daily Tech article. New York, New York – Scientists skeptical of man-made climate fears meeting at the 2008 International Conference on Climate Change in New York City described the “absolute horror stories” about how some scientific journals have engaged in “outrageous and unethical behavior” in attempting to suppress them from publishing their work in peer-reviewed journals. The March 2-4 groundbreaking conference, which featured about 100 speakers with over 500 people attending, presented the report of a team of international scientists who formed a group to counter the UN IPCC. At last. A group of scientists to counter the UN IPCC. But how will that help if they are not allowed by the most prominent scientific journals to publish their findings? Luckily, we do have the internet and we do have bloggers and there are places where one can go and find these things and publicise them. This entry was posted on May 7, 2008 at 12:22 am	and is filed under Global Warming. You can follow any responses to this entry through the RSS 2.0 feed. You can leave a response, or trackback from your own site. John A. Warden III, a U.S. strategy expert recently posted this about Global Climate Change: Thinking Strategically About Global Climate Change. It would be interesting to hear how proponents of the Manhattan Declaration view his positions on creating an agreeable Future Picture for the global climate before embarking on all sorts of tactical solutions to the percieved problem. I fully agree with the Manahattan Declaration on Climatic Change. The harassment impressed upon by some science journals and NASA people on the participant scientists (as reported on this forum) clearly shows that it is more politically motivated than reality. Where is the freedom of expressions by Scientists? If UN IPPC have a declared view on Global Warming, so has Manhattan Declaration, an opposite view though. Just how much royalty Al Gore’s “The Inconvenient Truth” is earning by releasing them on TV channels and exhibiting the same on numerous school children over the world. Is this propaganda against carbon dioxide emissions by industries and human acts? I think yes and more so a political agenda. The resignation of Dr. Ferenc Miskolczi (because of his peer-reviewed findings at the Conference) from NASA is ample proof for this. I have a firm opinion that no matter how much efforts are made to suppress this Declaration, it will gain popularity every passing day.